Southern Boating is the only boating magazine with a primarily paid audience. Do you need assistance with MagHub? Please visit our MagHub Client Center. 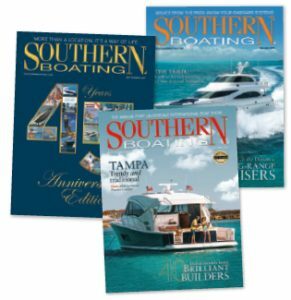 For more than 45 years, Southern Boating Magazine has served as the boating authority for the Southeast U.S., Gulf of Mexico, Bahamas, and Caribbean regions and beyond. Our loyal and affluent audience looks to Southern Boating for product reviews, cruising destinations, technology, industry news, and as the “go-to” resource for all things boating, and of course– boat reviews. 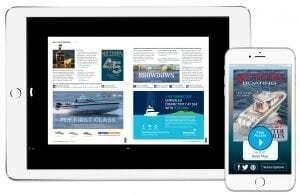 Southern Boating’s editorial and advertising content spans multiple platforms and across all consumer-reaching channels including print, digital, websites, email, and boating events. Please submit the following information to receive our media kit. Check to receive our monthly advertising emails and any special advertising opportunities emails.